If you want a fun treat to make with the kids on Cinco de Mayo, check out these mini taco cookies that were made from golden Oreos. They would be fun on April Fool's Day as well. You could even add them to a list of fun foods to make with the kids this summer. Call it Taco Tuesday! 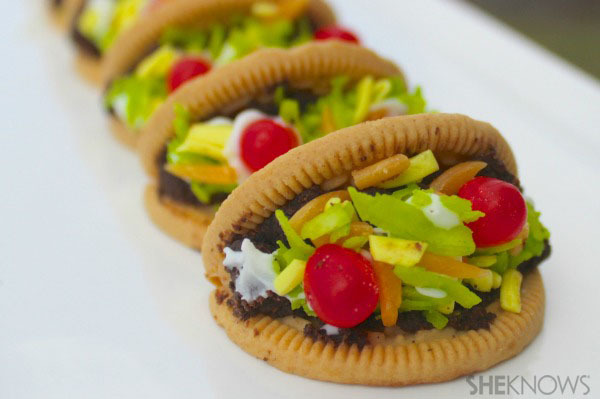 You can check out how to make mini dessert taco cookies over at SheKnows. Cutest prank food I think I've seen ever! And yum!